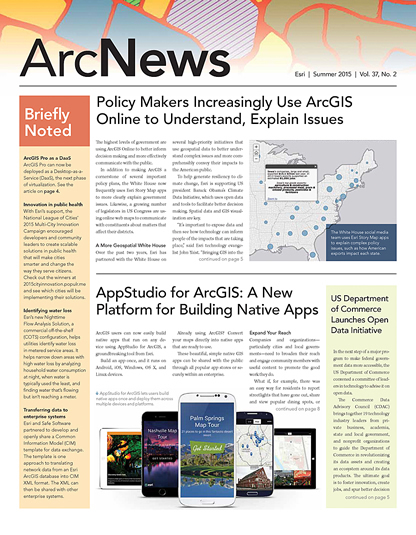 GIS managers are aware that their user community has become more diverse. They have seen the GIS team’s role evolve from making maps to building solutions, just as they have seen their own responsibilities expand. This puts GIS managers in a unique position: They can unite various groups around geospatial information, or they can be squeezed between competing interests when things go south. To avoid the latter, the GIS manager must build the right strategy to address the organization’s business goals while also supporting those using GIS for analysis and decision support. In my case, when the company’s upper management decided to implement GIS, it required hiring a GIS manager—me—and creating a GIS group to support the new technology throughout the global organization. On day one, I had to begin analyzing the organization’s baseline maturity in GIS use so that I could start building the plan. It took several months to assess the company’s needs and design our system, but after it was approved by the chief information officer a few months later, we implemented our enterprise GIS according to contemporary best practices. The organization’s use of this new technology began to grow, as did my role as GIS manager. In addition to having custody over the technology itself, my team and I acted as stewards and facilitators for the company’s array of users, encouraging their work to evolve alongside the technology and vice versa. This really changed our perspective. We realized that we needed to be more proactive and strategic rather than reactive and tactical, guided by the business’s strategic goals rather than simply taking orders. We needed to understand our users’ various roles to be able to support them as business partners. My team and I reexamined our earlier analysis of the company’s user community, and we found that four distinct roles emerged. First, there were the authors, the smallest group, who created the information. Next, there were the analysts, who examined, refined, and synthesized the data. Then there were the administrators and publishers, who made the content available to the last group, the consumers, who viewed and utilized the information to complete tasks and make decisions. This was a pattern that emerged across all user groups. We implemented this methodology—evaluating the business goals, categorizing user profiles, and assessing user requirements—whenever we had to come up with new design strategies, and we used the results as key benchmarks. We also worked with our internal business partners to better understand our organization’s distinct business life cycles so that we could coordinate our geospatial data life cycles along the same lines. After our reevaluation, the GIS team’s modified strategy was to provide good quality, fit-for-purpose data via intuitive interfaces to help our organization meet its annual goals and longer-term objectives. We designed GIS products that were oriented toward solutions, and we only released them after they were fully functional and accepted by the business partner (which we thought of as our client). We also became the company’s in-house GIS consultants, coaching employees throughout the organization on various elements of the technology. For example, positional accuracy was important to the organization’s operational integrity, as were the health and safety of our employees and customers. My team and I therefore focused on educating our internal business partners in best practices for information gathering and recording to ensure that the GIS content consumers were basing their decisions on contained the most accurate and reliable data. By shifting our strategy from pushing geospatial technology onto our business teams to letting the company’s business strategy guide our GIS use, we significantly increased our return on investment in the technology. Within just a few years, GIS became a key feature of the toolset executives used to manage the company’s strategic assets and investments—whereas before, there had been no GIS at all. It was obvious that, for our company, GIS’s true value became clear when our group better understood the business strategies and geared our projects toward those goals.